Set in Toronto 2 Craigmont Drive North York Toronto has well-equipped accommodation boasting free WiFi 10 km from York University and 11 km from Aviva Centre.A bicycle rental service is available at the homestay. Non Smoking Rooms. Currently as low as $68.52/night! Built in 1904 and located in the Haliburton village 23Maple features classic charm and modern convenience. A public sand beach and a park are only steps away across the street from the property. Free Internet, Non Smoking Rooms. 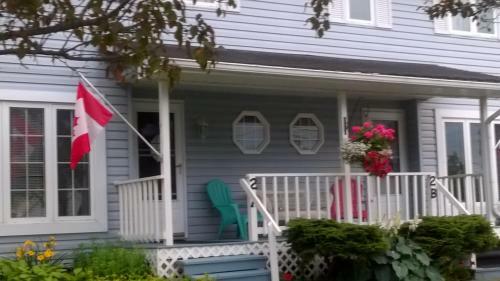 2A County Comfort offers accommodation in Picton 16 km from Sandbanks Provincial Park. 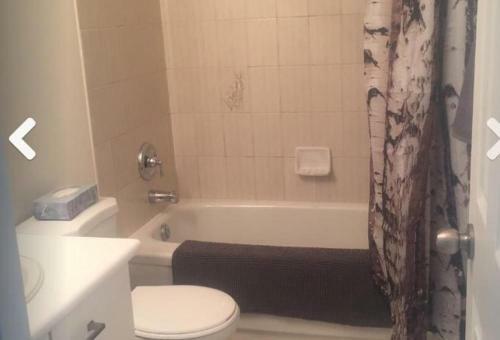 Complimentary WiFi is available.The property includes a living room with a flat-screen TV. There is a seating area a dining area and a kitchen equipped with an oven. Currently as low as $268.62/night! 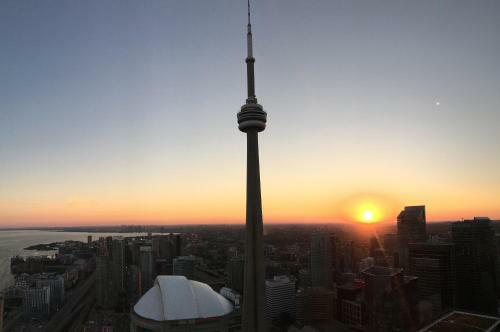 Situated in the Entertainment District district of Toronto just 300 metres from Air Canada Centre 2BR AMAZING CN Tower + Lakeview w/ Parking features air conditioning and free WiFi. 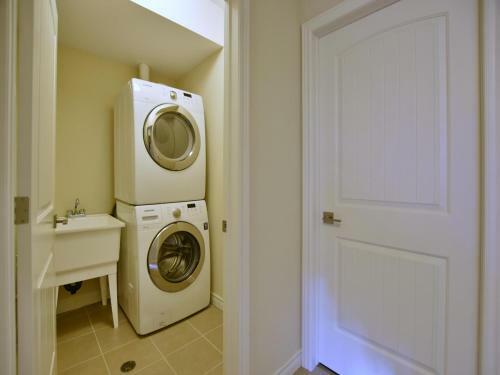 The property is 500 metres from CN Tower. Indoor Pool. Currently as low as $459.39/night! 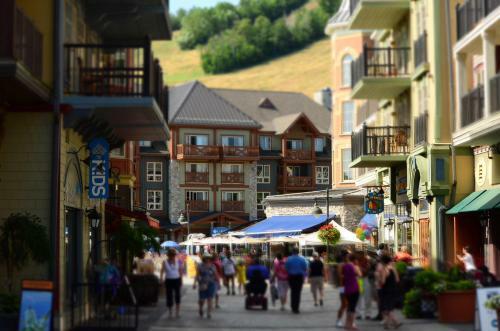 Just an 11-minute walk from Blue Mountain and 600 metres from Century Express and featuring free WiFi 3 Bed Blue Mountain Condo offers accommodation in Blue Mountains. The Scenic Caves Nature Adventures is within 2.5 km of the apartment. Currently as low as $231.25/night! 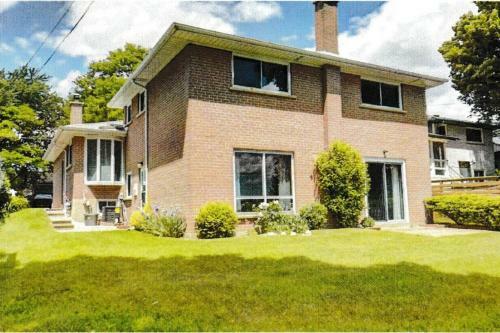 Set in Blue Mountains in the Ontario region 3 Bedroom Cachet Crossing has a patio. Free WiFi is offered.The apartment includes 3 bedrooms a kitchen with a dishwasher and an oven as well as a coffee machine. A TV is featured.Ski-to-door access is available on site. Free Internet. Currently as low as $151.83/night! 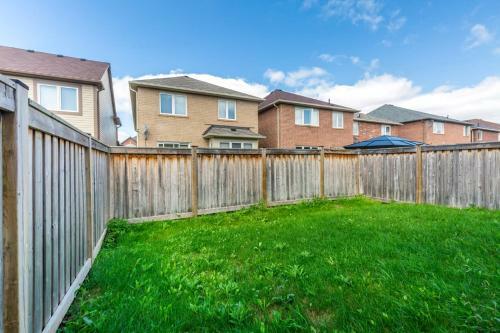 Set in Brampton 16 km from Wild Water Kingdom and 5 km from Rose Theatre 3 bedroom home Brampton offers free WiFi a garden and air conditioning. 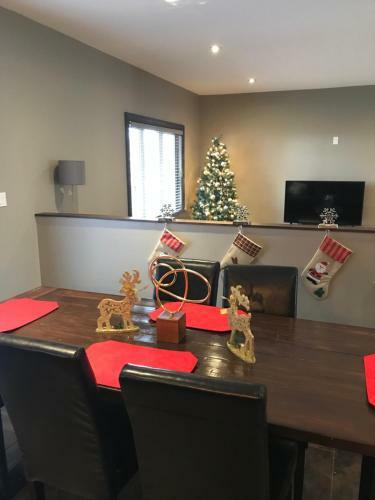 This holiday home is 5 km from Memorial Arena and 7 km from Century Gardens Arena.The holiday home has a TV. Non Smoking Rooms. Currently as low as $256.95/night! 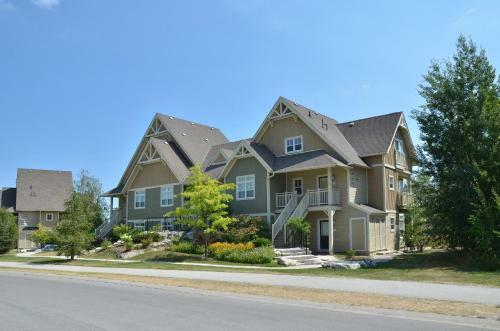 3 Bedroom Mountain Walk condo in Blue Mountains offers accommodation with free WiFi a 3-minute walk from Blue Mountain 1.8 km from Scenic Caves Nature Adventures and a 3-minute walk from Silver Bullet. 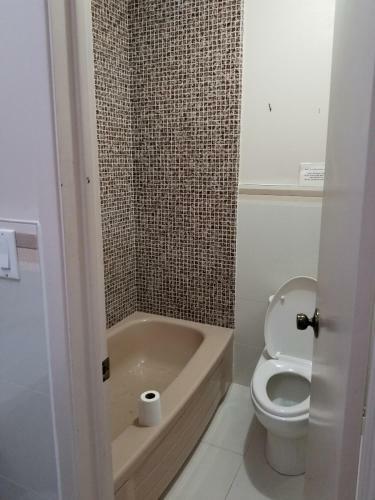 This apartment is 400 metres from Century Express. Free Internet. Currently as low as $253.06/night! 3 king bedrooms + patio! 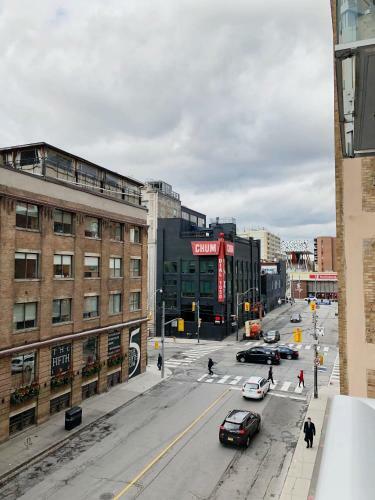 1200 sqft Industrial Loft offers accommodation in Toronto a 9-minute walk from Four Seasons Centre for the Performing Arts and 1 km from Toronto Symphony Orchestra. The apartment is 1.1 km from University of Toronto.The apartment has a TV. Currently as low as $229.70/night! 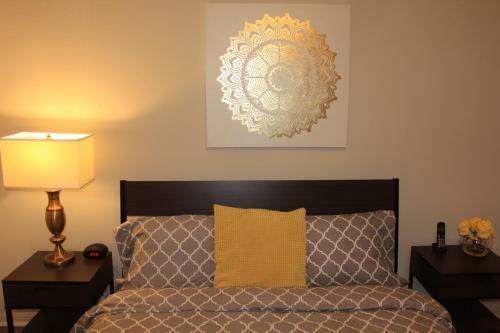 3 KING BEDROOMS + PULLOUT + PATIO - Cabagetown offers accommodation in Toronto 800 metres from Ryerson University. 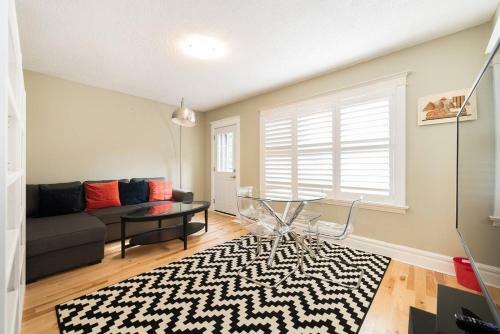 This holiday home is an 11-minute walk from Yonge-Dundas Square.The holiday home is equipped with a TV. Currently as low as $311.45/night! Featuring a fitness centre 30 Nelson Street is attractively set in Entertainment District of Toronto a 3-minute walk from Four Seasons Centre for the Performing Arts and 300 metres from Toronto Symphony Orchestra. Featuring city views this apartment also has free WiFi. Non Smoking Rooms. Currently as low as $272.52/night! 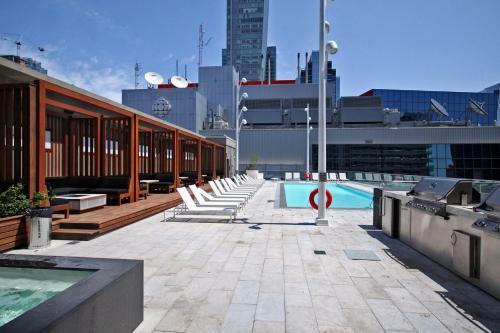 300 FRONT is situated in Toronto and offers a seasonal outdoor swimming pool and a fitness centre. 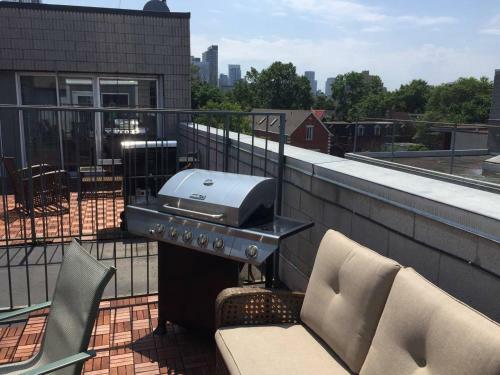 Located 1.1 km from CN Tower the property features barbecue facilities.The apartment includes 2 bedrooms and a kitchen with a dishwasher and an oven.Outdoor Pool, Non Smoking Rooms. 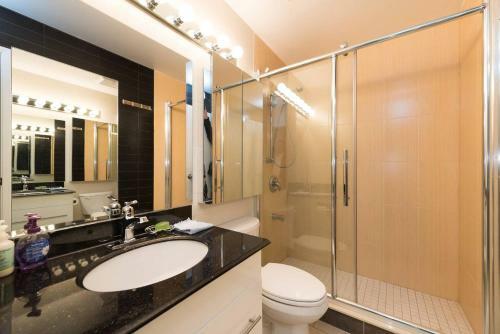 Set in Toronto 5 km from Queens Park 30Roe - Furnished Apartments provides free WiFi and city views.Each unit is comprised of a kitchen with a dining area and a dishwasher a living room and a private bathroom with free toiletries. Non Smoking Rooms. Set in Toronto 31 Wyvern Road North York Toronto offers accommodation within 9 km of York University. Complimentary WiFi is featured.A microwave and kettle are also available.Aviva Centre is 10 km from the homestay. Non Smoking Rooms. Currently as low as $299.77/night! Located in Blue Mountains 6 km from Blue Mountain 4 Bedroom waterfront condo offers air-conditioned accommodation with a terrace and free WiFi. 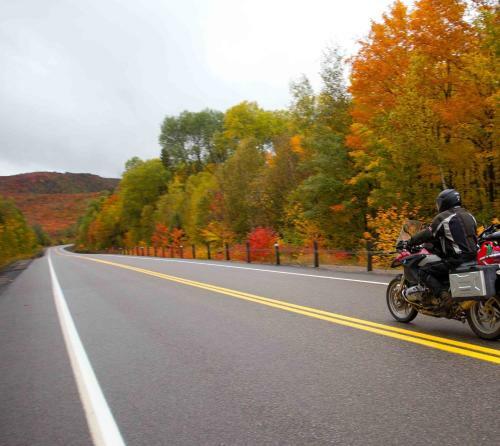 This property is 7 km from Scenic Caves Nature Adventures. Free Internet, Non Smoking Rooms. Currently as low as $366.74/night! 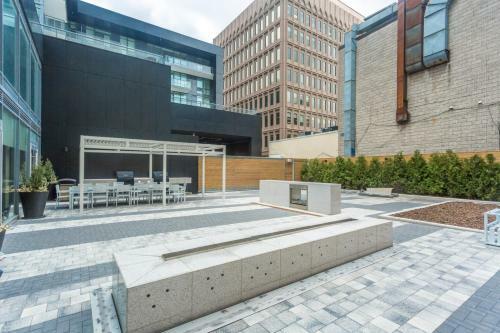 Set in the middle of Toronto a 9-minute walk from Four Seasons Centre for the Performing Arts and 1 km from Toronto Symphony Orchestra 4 Queen beds + patio! sleeps 10!in funky Chinatown offers air conditioning. The accommodation is 1.1 km from the University of Toronto. Conveniently set in the centre of Mississauga 4080 offers a terrace. 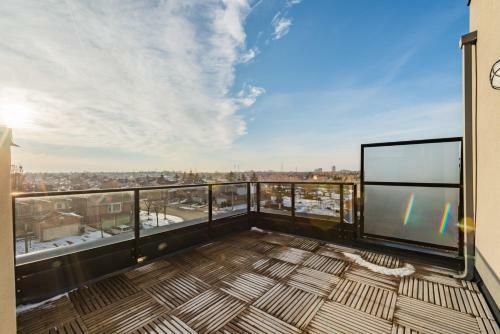 The property is 8 km from Mississauga Convention Centre.Offering direct access to a balcony with city views the air-conditioned apartment consists of 3 bedrooms and a fully equipped kitchen. Non Smoking Rooms. Currently as low as $142.55/night! 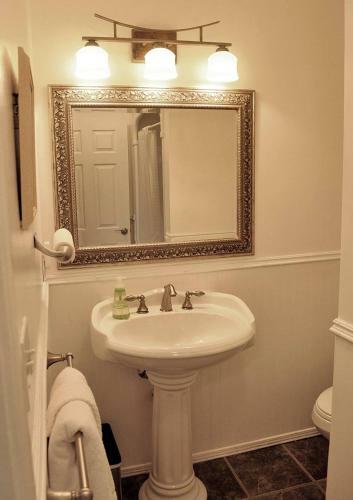 This holiday home offers accommodation in Brampton's Mount Pleasant Village. 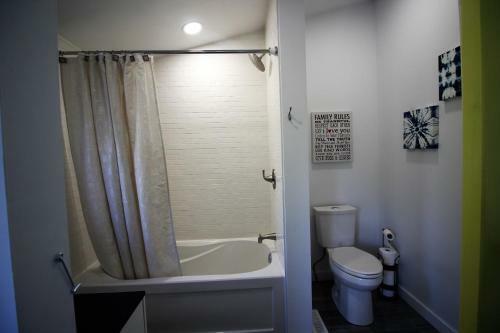 It offers parking for 2 cars and laundry facilities. Guests will be less than 5 minutes' walk from train and bus stations and 3 minutes' walk from the village square.